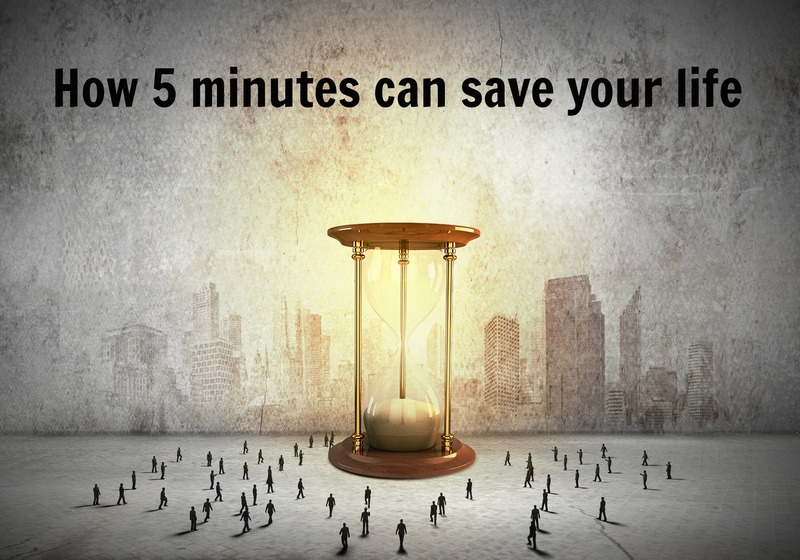 Leaving 5 minutes early just might save both your life and your relationships. I drive a lot. I drive my teenage kids to school, drive all four of my kids to various activities, drive to appointments daily and drive my family to our church gatherings. But we often run out the door at the last minute (or a couple of minutes late) on the way to these activities. 1. Leaving late leads to risky driving. Running out the door at the last minute leads me to drive faster and take more chances than I would if I had left earlier. When I am running behind, I feel the need to drive (much) faster than the speed limit. I am also tempted to ride 3 feet from the back of the car in front of me, lay on the horn, give people mean looks, cut in and out of traffic, and yell at red lights. (Why are they always red?) When I have a little bit of margin everything slows down, and the hurry is gone. Instead of rushing I smile and wave at everyone that I see along the way. 🙂 In seriousness, everything changes with a little bit of margin. Leaving a few minutes earlier just might save my life. 2. Leaving late leads to damaged relationships. Have you ever noticed that when you are running behind there is way more tension in the car? Some of our greatest times of family tension have happened on the way to church on Sundays because we have run out the door at the last minute and are going to be late. Running behind often leads to relational tension and even damaged relationships over the long term. You are way more likely to express frustration with your wife and kids when you are running behind. You are less likely to be patient and kind when you are running behind. You are much more likely to express tension with everyone you encounter when you are pressed for time. Over time, this can lead to damaged relationships. Leave 5-10 minutes earlier than you need to. It takes 15 minutes to drive my son to high school. Friday we left 10 minutes earlier than we usually leave. It was awesome. I had a better conversation with my son than I normally have. I drove better and didn’t almost kill us on the way. On Sunday, we left 5 minutes earlier for church. We were all more relaxed, and we all memorized the book of Colossians on the way. (JK) But we did leave early, and it changed the whole dynamic of our day. We had a better discussion on the way. My wife and I were both calm and able to prepare our kids for worship. Think about it. Give yourself some margin. Leave 5-10 minutes early. Drive a little slower. Be a little calmer. Live a little longer. Have healthier relationships.